A man walks in front of the 5th U.S. Circuit Court of Appeals, Wednesday, Jan. 7, 2015, in New Orleans. Perhaps the most noteworthy of the decision’s reprimands is a graphic depiction of post-abortion fetal remains taken from a CMP video on the fourth page of the opinion. A small arm is visible in the picture. Texas cited the manner in which Planned Parenthood disposes of fetal remains as one reason for terminating its Medicaid eligibility. Planned Parenthood has denied it intentionally alters abortion procedures for impermissible reasons. 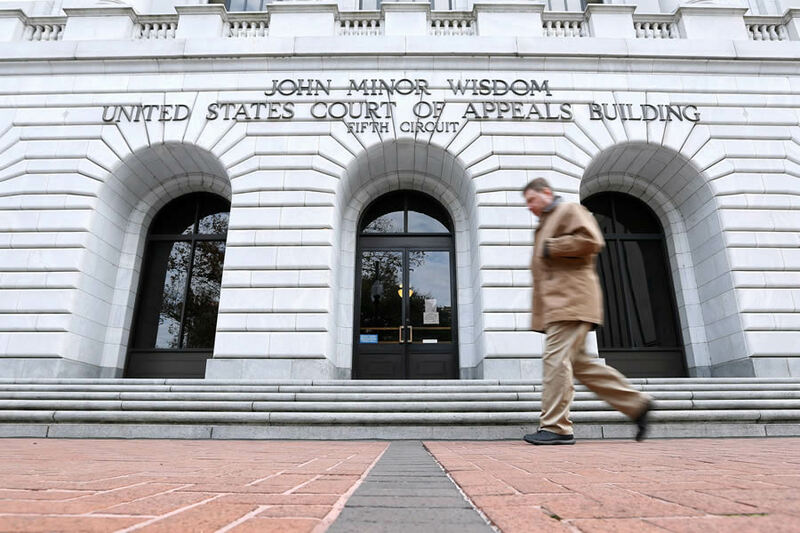 The question before the 5th Circuit did not relate to abortion directly: After Texas disqualified Planned Parenthood from Medicaid eligibility, the abortion provider sued, claiming the federal Medicaid statute allowed it to do so. A federal district judge agreed, allowing the lawsuit to proceed. The 5th Circuit had to decide whether that decision was correct. The 5th Circuit’s Thursday decision concluded that it is bound by precedent to find Planned Parenthood can proceed with its lawsuit in federal court under the Medicaid statute, though Jones wrote a concurrence to her own majority opinion urging the full 5th Circuit to revisit that question. However, the 5th Circuit gave Texas a partial victory, finding the trial court assessed Planned Parenthood’s request for an injunction under the wrong standard. The panel lifted the injunction, and ordered the lower court judge to reconsider Planned Parenthood’s request under a different standard which is more accommodating of Texas.